Thousands of historic photographs of Cornwall are to be put on the internet. 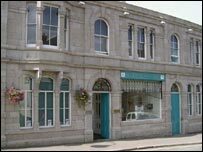 The 2,000 images have been collected over last 30 years by archivists at the Cornwall Centre in Redruth and date back to the early 1900s. They include work from Fleet Street-trained reporter George Eliot from Bodmin, who worked from the late 1930s until the 1970s. Sixty of the photos to go online are also being displayed at the centre until the end of the month.